The international court ruled in favor of Ecuador in its case against the U.S. oil giant for causing one of the world’s greatest environmental disasters. The International Court of Justice (CIJ) ruled Thursday a prior ruling by an Ecuadorean court that fined the U.S.-based oil company Chevron US$9.5 billion in 2011 should be upheld. “Today’s decision represents an important step in the right direction,” stated Ecuadorean Attorney General Diego Garcia Carrion. 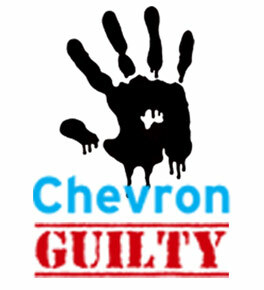 Chevron appealed the Ecuadorean court ruling at The Hague, arguing that Ecuador had violated a bilateral investment treaty signed with the United States and that a 1995 settlement agreement reached with the Ecuadorean government made the class action lawsuit redundant. However, the international court stated that the case included individual rights, therefore leaving null and void the agreement signed between the then government of Ecuador and oil company Texaco, which Chevron acquired in 2001. Chevron is responsible for contamination in the region, he said, praising a prior judicial decision rejecting Chevron’s attempt to avoid the fine. The lawyer of the Ecuadorean plaintiffs, Pablo Fajardo, replied that the accusation of “fraud” had no basis, adding that “it will soon be demolished” on April 20 in a New York court.